Hello! Dana Tatar here today sharing another project as a Faber-Castell Design Memory Craft® Guest Designer. I created this picture puzzle for my daughter with the same image transfer technique that I shared in my last post. Emmy here sharing my project as a guest designer for Faber-Castell Memory Craft - how to make flowers using tissue paper and Design Memory Craft Gelatos®. I really love using tissue paper on my projects, but the colors I like are really difficult to find. That's why I decided to create my own colored tissue paper using Design Memory Craft Gelatos®. Step 1: Get white tissue paper and choose the colors you would like to use. For my card I used butter cream, lemon, mango, tangerine and gold champagne. Hi! AJ here to share another card using Faber-Castell Design Memory Crafts Gelatos®. I always tend to lean towards clean and graphic designs when making cards, (or anything really) but I have really loved being able to use these Gelatos® in so many fun ways to create things lately and still keep to my less is more style. A snap from the last day of the show. Even though the show itself was very small, the small number of people allowed us to spend more time and interact with people. The winter show is only five months away- and we'll be releasing some great products that we've been working on for a year. Until then, stay updated with our latest here! Faber-Castell Design Memory Craft is a leading manufacturer specializing in high quality art supplies including pens, color pencils and watercolor pencils for art, crafts, scrapbooking and papercrafting. Our Mix & Match concept is centered on color coordinated palettes and mediums that are designed to make medium and color coordination a cinch for crafters. We're looking for talented designers to help promote our brand for design, memory and papercraft applications from September 2013 -January 2014. The successful applicant will need to work well with deadlines and consistently produce projects of high standard. Have the opportunity to be featured regularly on the redesigned Design Memory Craft blog, Facebook, Twitter, Pinterest, and Instagram. We may also approach you about buying the original piece for tradeshow use. 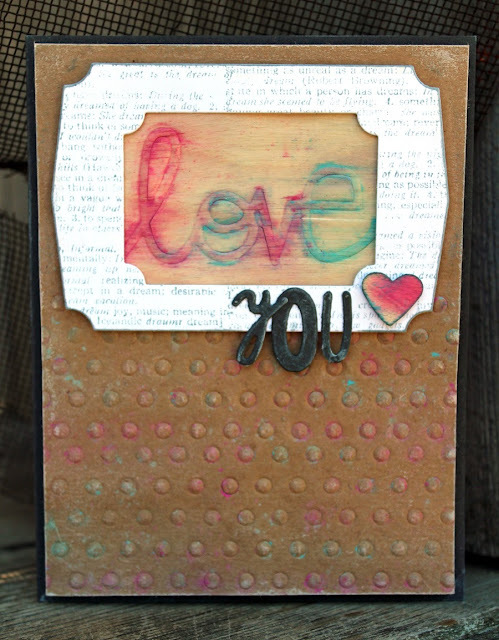 Create a card, layout, or a mixed media project to post on the Design Memory Craft blog. Maintain your blog and link to Design Memory Craft’s website/blog. Please send us the following information by August 19th, 2013 2pm EST via email to naoko@fabercastell.comwith ‘Design Team Application’ in the subject line. ***Please note that late submissions will not be accepted***. 1 project with step by step directions. *please note- your personality is important to us. Show us who you are! Finally…like/follow us on Facebook (http://www.facebook.com/DesignMemoryCraft), Pinterest (http://pinterest.com/designmemcraft/), and Twitter (https://twitter.com/DesignMemCraft )! The Guest Design Team will be announced on August 21st, 2013. One day with Donna never proves to be dull, as proved by our post dinner walk. One minute we're walking along....and the next minute we see these mannequinns wearing blue wigs...and the next minute, it ends up on Donna's head. What a great color on her! Stay tuned for our last post tomorrow! Embossing with Gelatos and Wafer Thin Dies or Folders!! Larissa here with another Guest Designer Post and today I want to share some FUN ideas on ways you can use your Gelatos to Emboss on your Projects!! Some people are intimidated by coloring so this is just another FUN way to use your Gelatos without having to color a specific Image or Design!! I have about 30 different embossing folders and I feel like I don't use them enough so today I'm going to share a Video filled with different techniques on how you can use Embossing Folders and Gelatos to Emboss on your projects!! I'll share some ideas on how you can do this same technique only using your wafer thin metal die cutting dies too!! I hope you learned something that you'd like to try and if you make something I hope you'll leave me a link in the comments box below!! I'd LOVE to see what you've created!! Here are some pictures of my finished cards using several of the techniques I shared in the Video on how to Emboss using your Gelatos with Wafer Thin Metal Die Cutting Dies or Embossing Folders!! It's been a rollercoaster of a day here at Las Vegas. The show itself is smaller than previous shows but it doesn't lack in excitement! Today, the wonderful Donna Downey made an appearance at our booth from 1-2 for her special MNT. The poppy art is actually made from melted Paper Crafter Crayons. You can't really see in the picture, but it has the MOST beautiful shine...stunning! Later, we had our workshop with her. All of the canvases were fantastic- can't wait for our next workshop tomorrow! The Faber-Castell Design Memory Craft team is in Vegas! We're so excited to be at this show (you can find more information about our new products here. Every day we'll share our daily happenings here so don't forget to subscribe to our blog or follow us at @DesignMemCraft! 8:00 am CLE to LAS. Soon after we checked in, we headed over to the show floor to start prepping our MNT boxes (yep, that's our booth space). You may be wondering...why are we gesso'ing 300 MNT boxes 2 days before the show? That-is a very good question. Thanks to the awesome Lisa Adametz who volunteered to help us out! You can check out our MNT here. The LVH! ( The Las Vegas Hotel). Our schedule for the next two days are packed- we're especially looking forward to our two workshops with Donna Downey and her special appearances at our booth. Stay tuned! For live updates, follow us at @DesignMemCraft! 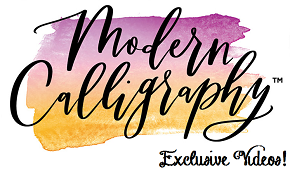 Hello, Faber-Castell friends, Meihsia here today to show you a quick and fun tag featuring Gelaltos and Stamper's Big Brush Pens with easy techniques. Here are the steps of how I made this tag. Apply various colors of Gelataos on to the craft sheet and mist the colors with water. Press the tag onto the colors then dry it with a heat tool. Add the images on the tag using PITT artist pen in Black and clear stamps. Color the edges of the tag and images with PITT Big Brush Pens. Randomly add some more texture and interest using Dabber and Gelatos. Apply some Glaze on the image to make the shining effect. Apply various colors of Gelatos on the craft sheet, mist with water, and press the Seam Binding ribbon on to the color mixture. Crinckle the ribbon and dry it with a heat tool. Here is the close up photo of the beautiful colors of Gelatos and PITT artist pens. I hope you get a chance to create something with these awesome products from Faber-Castell and enjoy these easy techniques. Have fun! Meihsia Liu started paper crafting in 2011 and loves to experiment different materials and new techniques to make cards, scrapbook layouts, mixed media and altered projects and share those projects on Simply Paper Crafts.